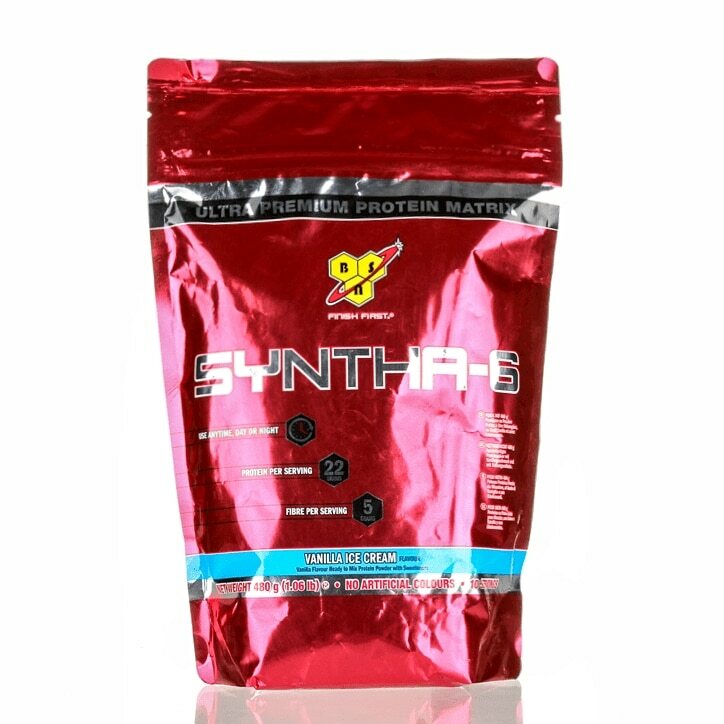 Syntha 6 is an ultra premium lean muscle protein powder. Its formula features multiple quality proteins resulting in a nutritious and multi functional protein supplement that ensures an athletes muscles a quality supply of protein building blocks. High quality protein is essential for building and maintaining lean muscle mass. Syntha 6 is the ideal solution to any active individuals protein needs, designed to perfectly suit a variety of diets and lifestyles. And with syntha 6, that high standard of quality comes with taste to match, thanks to BSN’s exclusive flavour technology. Protein Matrix Comprised of (Whey Protein Concentrate, Whey Protein Isolate*, Calcium Caseinate*, Micellar Casein*, Milk Protein Isolate, Egg Albumen, Glutamine Peptides [GLUTEN]) (Emulsifier: Soy Lecithin), Thickeners (Polydextrose, Cellulose Gum), Creamer (Sunflower Oil, Maltodextrin, Sodium Caseinate*, Mono- & Di-Glycerides, Tocopherols, Tri-Calcium Phosphate), Flavourings [MILK], Medium Chain Triglycerides Powder (Medium Chain Triglycerides, Sodium Caseinate*, Emulsifier [Citric Acid Esters of Mono- & Di-Glycerides], Antioxidant [Mixed Tocopherols]) Salt, Sweeteners (Sucralose, Acesulfame Potassium).